You are here: Home » Blog » Blog » How Long Before a Solar Photovoltaic System Pays for Itself? Solar panel power systems range in size from very small ones capable of powering only a single spotlight to ones able to deliver enough juice for multiple appliances. As may well be expected, the larger systems (the ones capable of generating more power) are the ones that cost the most in terms of initial outlay. More generated power requires more solar panels to do the generation. More solar panels require more money with which to buy them. It should be noted, though, that larger systems also usually represent the greatest savings over time—and in a way that makes a simple scaling up of savings via a ratio impractical here. This is due to the possibility of selling excess power, which would technically be adding “profit” to your “savings”. We shall discuss this later. For the purposes of the original question, let us say the system involved is one designed to cover all of the average middle-class Filipino household’s power needs. This is usually the solar PV system most requested by clients anyway. Most households in this socioeconomic bracket have power bills around PHP 4,000 per month at the time of writing. A sound and very wisely budgeted system designed to produce enough power for such a household will cost something around PHP 100,000. Let us say, to allow some leeway into it, that it costs the homeowner a total of PHP 150,000. So again, this system saves about PHP 4,000 per month. Multiplying that by 12 months means it can save the homeowner PHP 48,000 per year—which already begins to illustrate the value of a solar PV system for one’s home. But to continue with the question, we should divide the initial cost by the savings-per-month rate to find out how many months it would take to cover the former figure. Dividing 150,000 by 4,000 yields 37.5 – this translates to 37.5 months of using that system in order to save the equivalent of the original 150,000 paid. In other words, such a solar panel power generation system would require only a little over 3 years in order to pay for itself in full. Obviously, this is a rather simple calculation assuming that the system can generate the full requirement. We can give you the best proposal for your situation. Simply contact us. This is considerable because solar panel power systems actually last far longer than that. In fact, most solar panels are capable of lasting decades. The very least your typical solar panel will last, in terms of time and under normal usage, would be 20 years. The other components of the system are fairly long-lived as well. Wiring can last for ages if one takes good care of it. Inverters can last a decade or more. This means that after the first 3 years, your system would actually be racking up pure savings for you, as it has already managed to pay for its initial cost by then. In fact, United Solar Philippines | Installations and Solar Panels guarantees systems for 25 years. 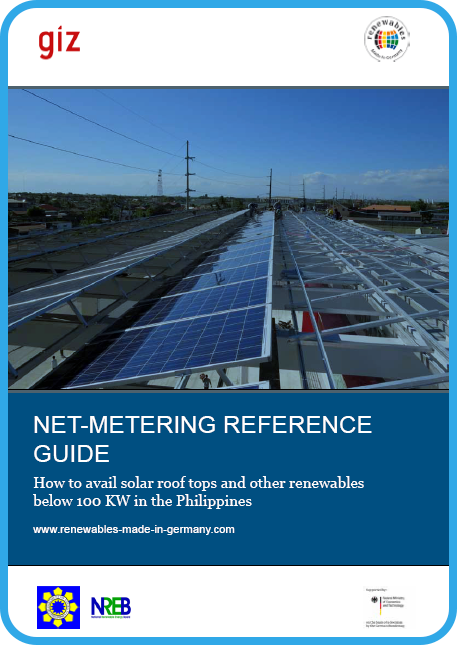 Assuming your particular system fits into the specifications above, you can get potential net savings of over 1 million pesos in power costs out of your original 150K investment. This should help to illustrate the benefits of solar panel power generation systems. But these systems can actually pay for themselves even faster in some cases. This is if the homeowner takes advantage of net metering. Net metering is provided for by the Renewable Energy Act of 2008. Essentially, homeowners can sell back to the utility company (like Meralco) any extra energy generated by their solar PV systems. The company distributes that power to other consumers. As part of the transaction, it credits the homeowner providing that energy with that energy’s cost. Those earned credits are cut from his power bill. This means that you can technically cover the initial outlay for installation of your system (need power tools?) even faster. It should be noted, however, that this is only possible with systems that are actually tied to the grid. Some systems are in fact off the grid, and it would be impossible for those to send power to the utility company. One may ask why one should bother with net metering if one’s system is large enough to generate all the power one needs—after all, that would mean there are no power costs to use “earned credits” on via the net metering agreement. The truth is, though, that you cannot always expect your solar PV system to operate at maximum generation capacity. There are days wherein the sun is regularly hidden, for example, such as during the rainy season. On days like that, one may still have to tap into the grid. 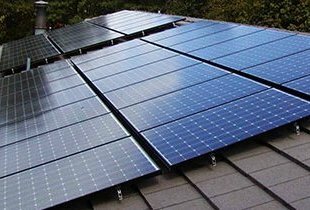 Net metering credits accumulated during sunnier days would then come in useful to defray those costs. There are cases where homeowners may need to sell their house and do not wish to take the solar PV system with them. In this case, the solar PV system shows another of its benefits: it dramatically increases property value. The resell rate for your house will be higher as a result. Even if you have to sell your house before your solar PV system has begun to pay for itself through monthly savings, you will still be able to recoup your investment on it. In fact, you may even end up reaping a little return through the boost in your property’s resell rate. This is just another reason that a solar PV system is widely classified as a sound investment. Whether you use it throughout its lifetime or sell it with your property to someone else, it usually gives back even more than what you pay.